Addiction is a brain disorder. 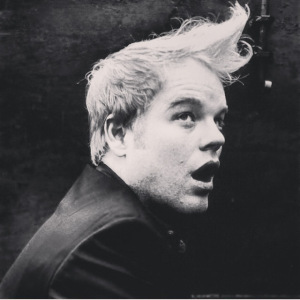 A self-described “rookie” blogger wrote a post four days ago called Phillip Seymour Hoffman did not have choice or free will and neither do you. Also, a hot and timely topic: the death of a beloved and talented actor due to drug addiction and overdose. I couldn’t believe it when I saw the news Sunday. He was only 46. It’s a long post, but it has a lot of quality information and ideas—most of all that addiction is not a choice but rather a mental illness. My brother is an addict, and he was also diagnosed with bipolar disorder at age 14. My brother and I are not close, and after all he has put my parents and family through with his lies and manipulation, it’s easy to point fingers, lay blame and generally live in ignorance about the state of his life and the condition of his recovery. A few months ago, I read Tweak, the memoir of a young San Franciscan crystal meth addict, Nick Sheff, immediately followed by Beautiful Boy, the memoir written by his journalist dad about his experiences dealing with his son’s addiction. Those books helped me better understand the workings of my brother’s drug addiction, though I can never claim to understand the addict’s mind. One of my very best friends is an addict, too. Alcoholism runs in her family and several months ago, it came to light that she had been secretly binge drinking. She went to rehab last year and is living sober now. I couldn’t be more proud of her. The most important thing, as the blogger so compellingly writes using Philip Seymour Hoffman as an example, is having compassion for the addicts in our lives. Let us remember that while we are all addicted to some things—(I, for example, am addicted to yoga and meditation and chocolate and my daughter and love and my self-worth and plenty of other things)—we cannot understand the mind of an addict any more than we can the mind of a schizophrenic. Addicts need nothing more than our kind, compassionate, loving help, society’s help and medical help. Previous Previous post: The Shocking Truth about me & Elephant Journal.